home improvements based on finding solutions to lifestyle problems. 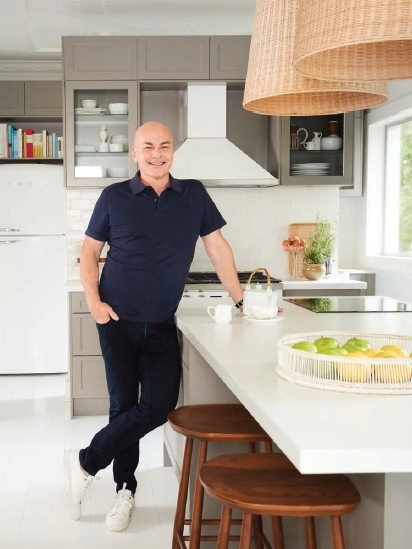 These are Neale’s top 10 tips for timeless, functional kitchen design. Establish your budget. Let’s get the boring-but-important one out of the way first. Kitchens are expensive and can easily run away with the budget, so it’s absolutely vital to decide upfront what you can afford to spend and keep a contingency of around 25% in reserve if possible. Be honest and realistic about what you require of your kitchen. Is this a family kitchen? Do you love to entertain? Or are you a microwave-and-home-delivery type of cook? There are so many sleek and desirable kitchen gadgets available these days, but no point installing the teppanyaki grill unless you really plan to use it. Ignore the latest trends! Kitchens should have a lifespan of at least ten years. 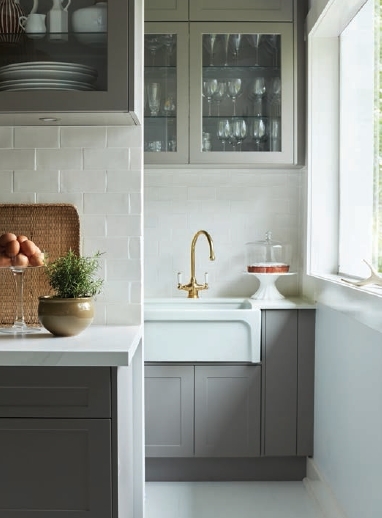 Trend-driven kitchens are likely to date more quickly. 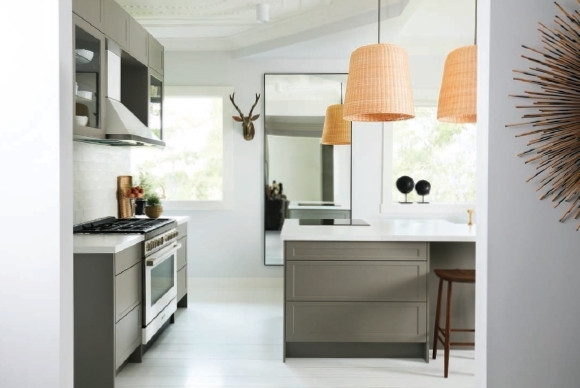 Choose benchtops, cabinetry, splash backs and appliances that will stand the test of time. Trend details can always be added through artwork, lighting, bar stools and cookware. Some people prefer their kitchen to work with their overall decor while others like the kitchen to add a modern contrast. If you’re updating an existing kitchen, think about what can be recycled. Do you actually need to replace everything? And can you work with the existing layout? Sometimes a change of benchtop and some new cabinetry is all that’s required. Think too about whether you prefer to cook with gas or induction. My own kitchen features both to suit everyday cooking and entertaining. It sounds old-fashioned but the ‘kitchen triangle’ is still important to good, functional kitchen design. The relationship and distance between fridge, sink and cooktop. Common sense dictates that they should be within easy reach of each other. It’s as true now as it was decades ago when the term was first coined. It’s a sign of the times that a butler’s pantry is a point on its own. Do you need one? Do you have room for one? There’s no doubt that an extra kitchen space offers great additional storage and a home for secondary kitchen appliances like microwaves, toasters, kettles and wine fridges. I have also seen butler’s pantries combined very effectively and efficiently with laundries. Colour is an increasingly important consideration. Once upon a time the choice was white, white or white. Contemporary kitchens feature cabinetry, splash backs and benchtops that range from black, through midnight blue to primary colours and pastels. In my opinion a neutral colour scheme gives a kitchen longevity. Neutral needn’t mean boring though. My own kitchen features pale grey cabinetry, white splashbacks, brass tapware and suede-finish bench tops with a fine, marble-like vein. It feels glamorous and layered but timeless. The kitchen devil really is in the detail. Think about adequate storage, both task and mood lighting, position and quantity of power points and the height of benchtops and bar stools. Do you prefer handles or soft-close drawers and cupboards? Integrated appliances? Open-fronted or closed cabinetry? These are the details that will dictate the convenience and functionality of your kitchen, so it’s worth investing time and thought at the outset. Posted in Architecture & Design. Bookmark the permalink.